Kevin Durant turned the NBA world on its head by bolting Oklahoma City for the Golden State Warriors, but don’t expect LeBron James to make a surprising move in the coming days. According to Marc Stein of ESPN, James’ camp has been telling teams he’s staying in Cleveland. 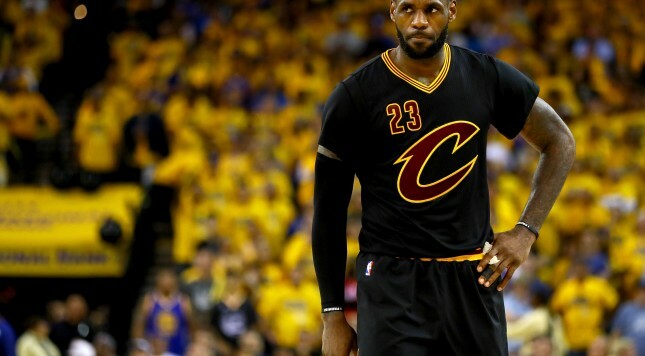 James, who willed the Cavaliers back from 3-1 down to win the NBA Finals, declined his player option for the 2016-17 season. The move was driven all by financials, as the NBA salary cap skyrocketed to $94 million for next season. By opting out of his deal, James can cash in with a short-term deal now and cash in again once the cap makes another jump in coming seasons. Teams may think they can pry James from Cleveland, but there’s been zero indication that the Finals MVP is thinking about leaving the Cavs. Windhorst: I believe LeBron will sign another one year deal with the #Cavs. That sets him up for a big contract next summer. James is a free agent, but in title only. It seems only a matter of time before he re-signs with the Cavaliers. Zach is the associate editor at The Sports Daily. He also covers the NFL for Bleacher Report and CheeseheadTV. HoopsSpot.com is a National Basketball Association fan web site and is in no way affiliated with the National Basketball Association, or their Properties. This site is for informational and entertainment purposes only. HoopsSpot.com is not an official web site for the National Basketball Association. Copyright © 2015 www.HoopsSpot.com - All Rights Reserved - Trademarks used herein are property of their respective owners.